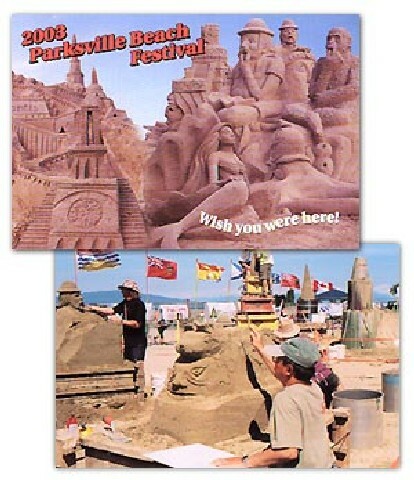 July 15th to July 17th I have been invited to be the Head Judge for this years Canadian Open Sand Sculpture Competition in Parksville. The event will be held July 15th weekend and the sculptures will be on display into August. Come out and enjoy the event and see some incredible team and solo sculptures! Click on the image go to the event website. July 20th to July 23rd - I have been invited to compete at this years Arts in Action International Sand Sculpture Competition. The event has a sports based theme and I will be carving the famous Soccer player 'Pele' doing his bicycle kick. August 3rd - I will be carving a chocolate sculpture for Rogers' Chocolates opening of their "New" location at Park Royal in West Vancouver on August 3rd. The sculpture will displayed during the opening and kept on display to the end of August. August 5th to 6th - I will be competing with 6 other professional sand sculptors at the Inagural Bronte sand Sculpture Competition in Ontario. Sandemons - Sand Sculpture Company, Pne International Competition is proud to be a Qualifying event for the World Championship Sand Sculpture Competition. May 10th - Sandemons - Sand Sculpture Company created a 500lb chocolate sculpture for Rogers' Chocolates. The sculpture was displayed during their press conference at Urban Fare on Alberni Street for the announcement of Rogers' vintage tin for the Vancouver City's 125th Anniversary. The chocolate scultpure will stay on display until the end of May, 2011. Click the Rogers' image for NEW PHOTOS! March 12th to March 27th I traveled to Doha, Qatar to participate in the Qatar Marine Festivals, Sand Kingdom. I joined 9 world class sand sculptors - JooHeng Tan, Rich Varano, Charlotte Koster, Thomas Koet, Lucinda Weirenga, Ted Siebert, Helena Bangert, John Gowdy and Jill Harris. Charlotte Koster and I participated in the doubles exhibition and then I worked on a solo sculpture based on an Endangered Species/Marine Life theme. Click the Doha image for NEW PHOTOS! 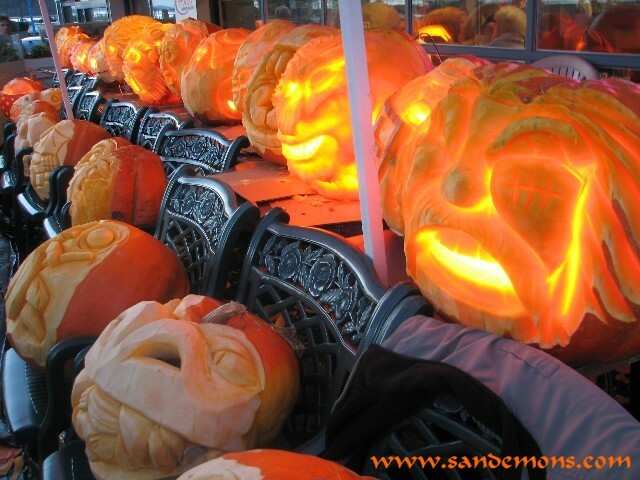 October 16th to 31st - Sandemons - Sand Sculpture Company held the Monster Pumpkin Exhibition and Display at Metropolis at Metrotown. David Billings, Fred Dobbs, Bruce Waugh, Craig Mutch and Roger Chaisson carved Atlantic Giant Pumpkins ranging in size from 50 to 1000lbs during the exhibition and an additional 5 pumpkin carvers were brought in to provide a 10 person demonstration on October 30th. Click the thumbnail to see photos of the amazing pumpkin carving exhibition! The 6th Annual PNE International Sand Sculpture Competition was held from August 25th to August 29th. The Competition brought together 15 International Sand Sculptors to compete for the 2010 Title. The Display sculpture brought a talented group of local and International talent to create an incredible undersea themed sculpture for the Fairs 100th year anniversary event. July 20th to 28th - Sandemons - Sand Sculpture Company created a display sculpture for the Vancouver Convention Centre, as they welcome the members of Meeting Professionals International. to Vancouver for the 2010 World Education Congress. The event was produced by Cantrav Services. 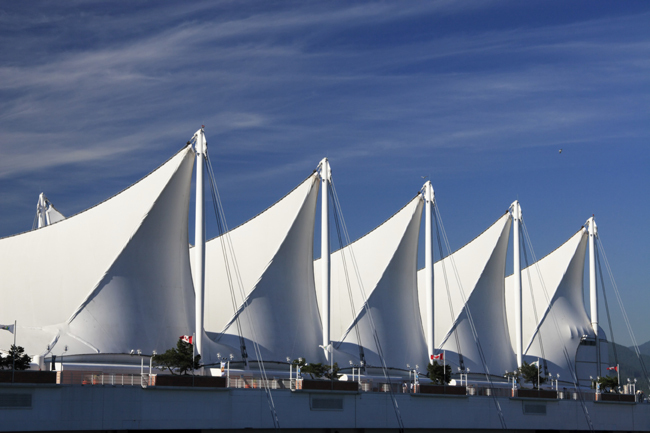 The Sculpture of an undersea theme was created in front of the Olympic Cauldron at the Vancouver Convention Center. October 24th - Willowbrook Shopping Centre - Charity Pumpkin Carving 11:00 am to 3:00pm. Come down and see some amazing Atltantic giant pumpkin carving. Pumpkins to be auctioned off from 3:00pm to 4:00pm for the Paralympic Athletes Fund. Come down and bid on your favorite pumpkin and take it home for a great cause!Willowbrook Shopping Center. October 25th - White Rock - Charity Pumpkin Carving. 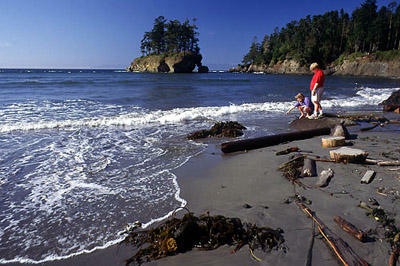 West Beach Bar and Grill in the west Beach 1101 Elm St & Marine Drive and also at the Sandpiper Pub, starting at 1:00 pm. All the pumpkins will be at West Beach Bar and Grill for a Charity Auction starting at 6:30 pm. Bring your kids down to watch the professional pumpkin carvers creating amazing carvings in the Atlantic giant pumpkins. Auction will begin at 6:30 at West Beach Bar and Grill, 1101 Elm Street, White Rock. 100% of profits will be donated to the local Food Bank. The 5th Annual PNE International Sand Sculpture Competition was held from August 26th to August 30th at the Fair at the PNE in Vancouver. Sandemons was proud to host 10 world class sand sculpture competitors and create another fun display sand sculpture for the event. This years event showcased 10 amazing sculptures from the International group. The display sculpture "The Aliens Visit to the Fair" was carved from August 22nd to August 28th and was on display until the end of the Fair. 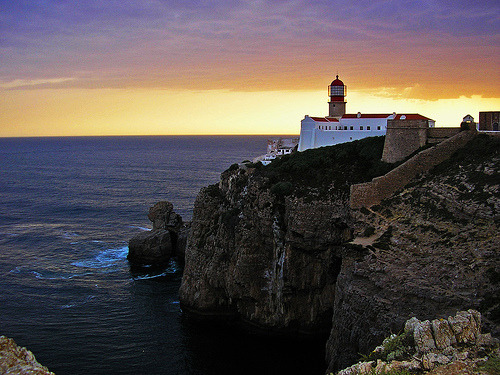 - Fred Dobbs, Canada - Peter Vogelaar, Canada - Sue McGrew, Japan - Susanne Ruseler, Netherlands - Sandis Kondrats, Latvia - Pedro Mira, Portugal - Brad Goll, United States - Benjamin Probanza, Mexico - Alexey Schitov, Russia - Arianne Van Rosmalen - Netherlands. Photos of the amazing live art performance by these world class carvers can be found by clicking the PNE logo. ENJOY! 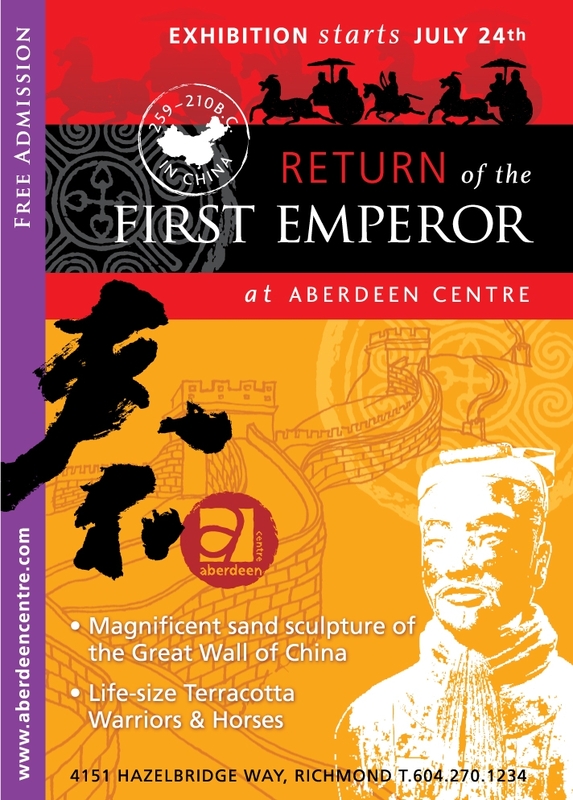 July 11th to 20th - Sandemons created a large Asian themed sand sculpture at Aberdeen Shopping Centre in Richmond. The sculpture "Return of the First Emperor" depicts the Great Wall of China and other Asian influenced designs from the Chi Dynasty and other eras. Fellow carvers Fred Dobbs, David Dureault, Charlotte Kolff, Brett Stocker and others helped to create the 80 metric ton sculpture. The sculpture and interviews will be shown on a new program being developed by National Geographic Television called "Wow", which will be airing in 2010. Check out the Aberdeen Shopping Centre website for more information about the shops and other events going on. June 21st to 30th - Andy Briggs from Victoria and I were competing at the 2nd German World Sand Sculpture Championships, held in Leipzig, Germany. Andy and I were excited to represent Canada at the event and created a sculpture called "La Maudite - Cursed One" for the competition. The event was a great time! Sand sculpture photo page and more information on the event can be found at the World Championships of Sand Sculpture in Germany website. May 01st to May 15th - I traveled to Faro-Algarve to work on a large walk through sand sculpture attraction. 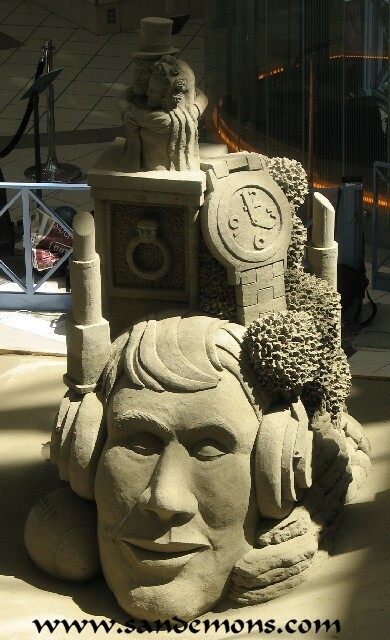 The Fiesa 2009 International Sand Festival had approximately 60 professional sand sculptors creating "Human Discoveries" which explored inventions, and discoveries that marked human history. You can find further information about the festival at the 2009 Fiesa International Sand Festival website. October 26th, 2008 - Food Network Channel will be airing at 8:00pm PST & EST ONLY AIRED IN THE U.S. - Sorry for any confusion for all us Canadians. the Extreme Pumpkin Carving Challenge which I competed against 3 other amazing pumpkin carvers. The event was filmed in Denver, Colorado forThe Food Network Challenge. October 25th - 12:00 noon to 5:00 pm - Troll's Restaurant - White Rock, I will again be carving a Atlantic Giant pumpkin for the Hazelmere Annual Charity event. Come down and see the giant pumpkins being carved and lit up that evening. The pumpkins will be auctioned off at Troll's for the White Rock/Surrey Community Foundation on the 26th. Velocity Cycles, Langley. I will be carving a giant pumpkin for display at Velocity Cycle of an extreme mountain biker. Spirit Bear Coffee, Maple Ridge. I will be carving a giant pumpkin for Spirit Bear Coffee of the Werewolves of London for their Halloween party. High Point Estates, Langley. I will be carving 4 garden variety pumpkins with High Point logos and a giant pumpkin for the High Point Estates annual Family Halloween Event on October 25th. I will be carving the Headless Horseman for their Halloween event. I attended the 19th Annual World Championship Sand Sculpture Competition which was held from September 02nd to 07th at Harrison Hot Springs. I competed in both the Doubles category with Paul Dawkins and in the Solo category. You can see photos of my sculptures on my Sand Sculptures page. The event attracts the World's best sand sculptors from all corners of the planet. Categories include Solos' (single competitors), doubles and team competitions. 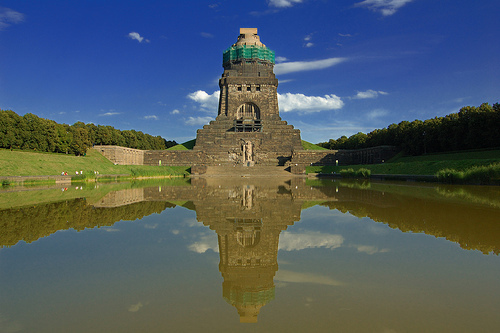 Sculptures are kept up until Mid-October for the publics viewing. More information on the event can be found at the Harrisand website. The 4th Annual PNE International Sand Sculpture Competition was held from August 20th to August 24th at the Fair at the PNE in Vancouver. This years event had 6 International competitors creating amazing sculpures for the 4th Annual event. We also create a large demonstration sculpture for the Fair at the PNE. July 16th to 21st - Michel De Kok of The Netherlands and I carved a sand sculpture for the 1st German World Sand Sculpture Championships, held in Leipzig, Germany. Michel and I sculpted a Canadian - Haidi Mythological piece of the Raven discovering mankind in a clamshell. The sculpture incorporated a stylized rendition of Bill Ried's famous Haida sculpture and totem pole in a forest scene with a Haida family. Photos of our work can be found on my sand sculpture photo page and more information on the event can be found at the World Championships of Sand Sculpture in Germany website. March 28th to 30th - I will be competing with a team of sculptors, Brett Stocker, Bruce Waugh, David Dureault and Craig Mutch on the 3 City Challenge to Celebrate British Columbia's 150th Anniversary. Come on out and enjoy the weekend and watch 3 teams from B.C. and Washington State carve some great castles. Admission is free, visitors may purchase one Peoples� Choice ballot for one dollar. 100% of their donation will then go to The Terry Fox Foundation. More information on the event can be found at the Harrisand website. It's almost that time of year again for scary pumpkins! I'll be carving for the following events this year. October 25th - I will be carving a Atlantic Giant pumpkin for the Hazelmere Annual Charity event this year. The pumpkins will be auctioned of for the White Rock/Surrey Community Foundation on the 25th. October 26th - City TV's Breakfast Television, Channel 13, Vancouver. I will be carving an Atlantic Giant pumpkin and talking about carving tips out at theRichmond Country Farms on the Thursday, October 26th edition of Breakfast Television airing on Channel 13 from 7:00 a.m. to 10:00 a.m. Check out the morning show and see my pumpkin carving works and tips. October 27th - 1:00 p.m. to 4:00 p.m. - Troll's Restaurant, White Rock will be holding their Annual Invitational Pumpkin Carving Competition. I, along with a number of professional sculptors will be carving Atlantic giant pumpkins for the White Rock/Surrey Community Foundation. The Pumpkins will be up for auction at 6:00 p.m. on Sunday, October 28th. Come on down bid and bring a giant carved pumpkin home for Halloween! October 27th - The Arbutus Club, Vancouver. I will be carving a giant pumpkin for display at the Arbutus Club's Annual Pumpkin Carving Party. October 28th - Terminal City Club, Vancouver. I will be carving a giant pumpkin for display at Terminal City Club's Annual Halloween Brunch. October 30th - Shaw TV - The Express, Channel 4, Vancouver will be airing a spotlight on my pumpkin carving. Check out the show which will be airing at 6:00 p.m. and later times on Tuesday, October 30th. October 31st - I will be carving pumpkins and being interviewed On Urban Rush. The show will be airing on Shaw - Channel 4 at 5:00 p.m., 7:00 p.m. and 11:00 p.m. on the 31st and again at 1:00 a.m., 7:00 a.m. and noon on November 01st. November 04th to 7th - I will be traveling to Denver, Colorado to compete inThe Food Network Challenge. I will be carving 3 rounds of pumpkins against 3 amazing pumpkin carvers from the United States to vie for the coveted $10,000.00 Food Network Challenge First Place. We will be filming the show during this time and it will be aired on Halloween in 2008. You'll get your first news of the winners and photos here on my website in November of this year! 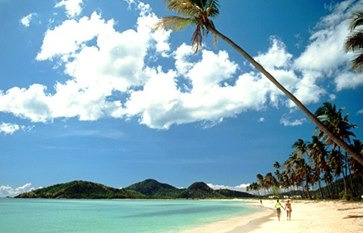 So check back for more updates and photos. I attended the 18th Annual World Championship Sand Sculpture Competition which was held from September 04th to 09th at Harrison Hot Springs. Unfortunately, I wasn't in the winning field this year, but I had a great opportunity to sculpt with some fantastic sculptors and friends. You can see photos of my sculpture on my Sand Sculptures page. The event attracts the World's best sand sculptors from all corners of the planet. Categories include Solos' (single competitors), doubles and team competitions. Sculptures are kept up until October 08th for the publics viewing. More information on the event can be found at the Harrisand website. The 3rd Annual PNE International Sand Sculpture Competition was held from August 22nd to August 26th at the Fair at the PNE in Vancouver. This years event had sculptors from Canada, United States, Russia, Portugal, Czecheslovakia, Holland and Australia. Ilya Filimontsev from Russia won 1st place, Radek Zivny of the Czech Republic won 2nd place and Rich Varano of the United States won 3rd place and the people's choice award. We also created a large demonstration sculpture for the Fair at the PNE. Check out the photos and information about the event by clicking the sand sculpture logo. 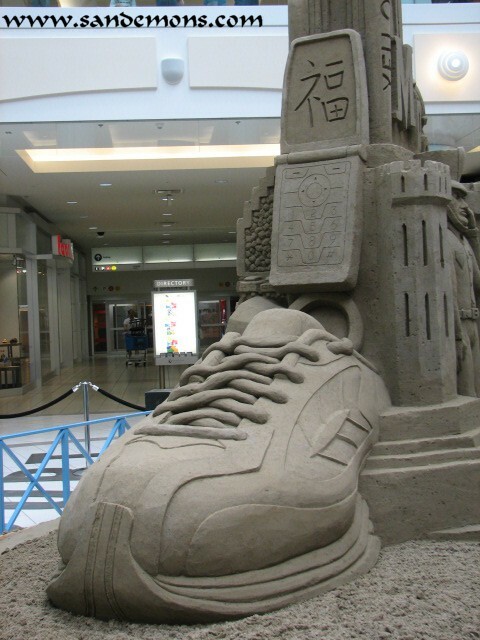 July 22nd to July 29th - I worked for Craig Mutch and with David Dureault at Metropolis at Metrotown to create a large sand sculpture display. The sculpture will be on display until August 11th in the grand court. May 30th to June 02nd - I worked with On Demand to film 10 television segments for Activity TV. The 10 segments will be aired on their website starting in August, 2007. It is a great site for children ages 3 to 10 to learn how to create different crafts. 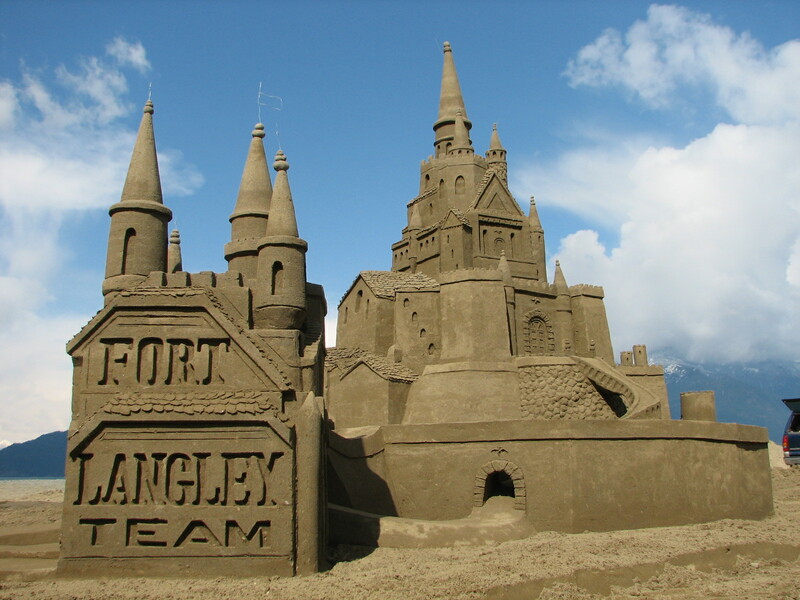 Check out the website Activity TV to see the 'how to's' of sand castle building! November 24th to December 5th, I had the opportunity to sculpt a scene "The Annunciation of the Shephards" for a Nativity Sand Sculpture on the Canary Islands, in Spain. The event was organized by Sand Sculpture - Spain. Click on the link Spain Sculpture to see photos and more information about the trip. October 28th - 1:00 p.m. to 4:00 p.m. - Troll's Restaurant, White Rock. Will be holding their Annual Invitational Pumpkin Carving Competition. I, along with a number of professional sculptors will be carving Atlantic giant pumpkins for the White Rock/Surrey Community Foundation. The Pumpkins will be up for auction at 6:00 p.m. on Sunday, October 29th. Come on down bid and bring a giant carved pumpkin home for Halloween! October 27th - I will be carving an Atlantic Giant Pumpkin for Woody's Pub in Coquitlam. October 26th - 5:00 p.m. to 8:00 p.m. - Willowbrook Shopping Center, Langley, B.C. I and 4 or 5 other pumpkin carvings will be carving Atlantic Giants Pumpkins for display. Come down and watch the scary creations come alive. October 31st - Z95.3 Masquerade Ball at the Commodore, Vancouver. I will be carving a giant pumpkin for display at the Commodore's Annual Z95.3 Masquerade Ball. October 31st - The Arbutus Club, Vancouver. I will be carving a giant pumpkin for display at the Arbutus Club's Annual Pumpkin Carving Party. October 31st - I will be carving pumpkins and being interviewed On Urban Rush. The show will be airing on Shaw - Channel 4 at 5:00 pm. and 7:00 p.m. on the 31st and again at 1:00 a.m., 7:00 a.m. and noon on November 01st. 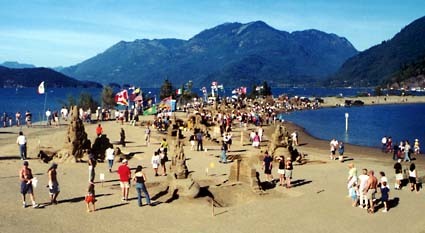 September 05th to 10th the Annual World Championship Sand Sculpture Competition will be held at Harrison Hot Springs. The event attracts the World's best sand sculptors from all corners of the planet. Categories include Solos' (single competitors), doubles and team competitions. Sculptures are kept up until mid October for the publics viewing. More information on the event can be found at the Harrisand website. This years event was another great success with sand sculptor competitors from Canada, United States, Spain, Nederlands and Mexico. If you had an opportunity to attend this years Fair at the PNE you got to see some fantastic sculptures created by these amazing talented sculptors. Sandemons Sand Sculpture Company created a large demonstration sculpture for the event. Check out the following link 2006 PNE International Sand Sculpture Competition for news, competitors and photos of both the competion and demonstration. 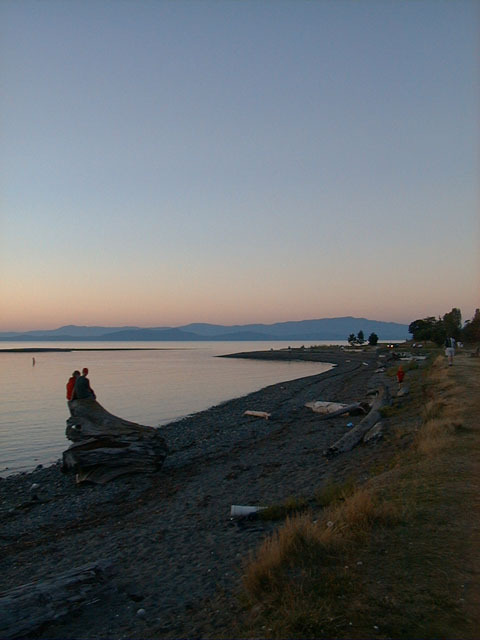 August 11th to 13th solo and team sand sculptors will be competing in the 2006 Canadian Open Sand Sculpture Championships in Parksville, B.C. The event is an annual event and a great family attraction. The sculptures will be kept on display until September 03rd. Check out the past winners and general event information at the Parsville Beach Fest website. July 24th to July 29th - Metropolis at Metrotown - I worked for Craig Mutch and with Peter Vogelaar on a 40 ton sand sculpture attraction. The demonstration sculpture will be viewable by the public at the Grande Court until August 13th. In June of this year, I was asked to participate in a Sand Sculpture Project in Jesolo, Italy, by the Sultans of Sand. The sand sculpture project, was based on life in Africa. 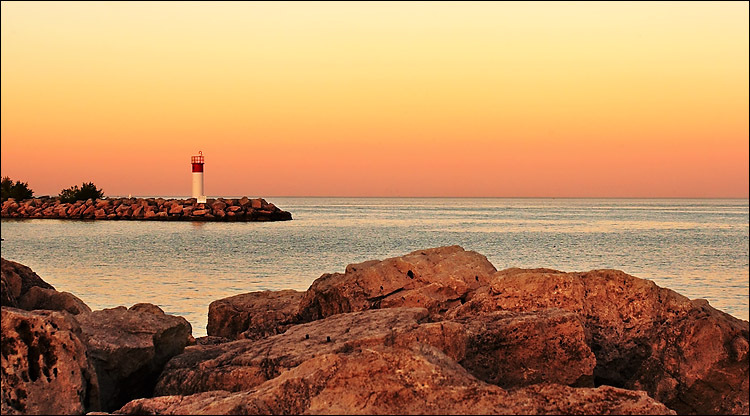 The event was created by the Tourism board of Jesolo and a percentage of the proceeds will be donated for water pump jacks for the country of Uganda. The event was a great success, with 20 amazing sculptors from Australia, Brazil, Canada, Czech Republic, Demark, Ireland, Japan, Nederlands, Russia, United Kingdom and United States. I was asked to create a sculpture representing some local Uganda people at a newly installed water pump jack. Click on photo of Jesolo to see more photos of the trip.